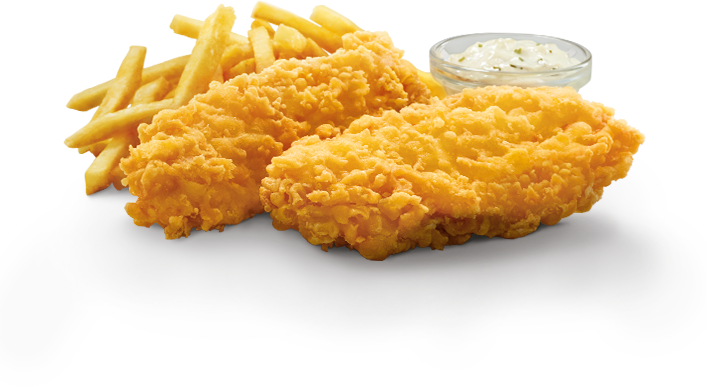 Dive into two exciting flavours, born from the same great fish fillet. 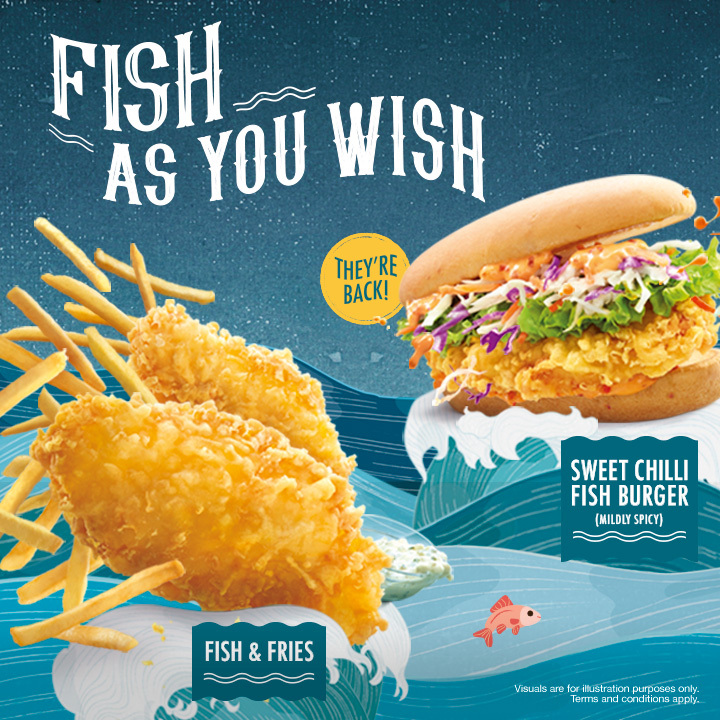 Go on a classic quest with the Fish & Fries, or explore the wonders and spice of the Sweet Chilli Fish Burger. Fish as you wish! Tender, flaky fish fillets, lightly fried to a crisp. Paired with tangy tartar sauce and our world famous fries. A classic experience. Allergen information: Fish and Fries contains egg, fish, shellfish, soybean, wheat, gluten and MSG. A tender fish fillet in a crispy coating. 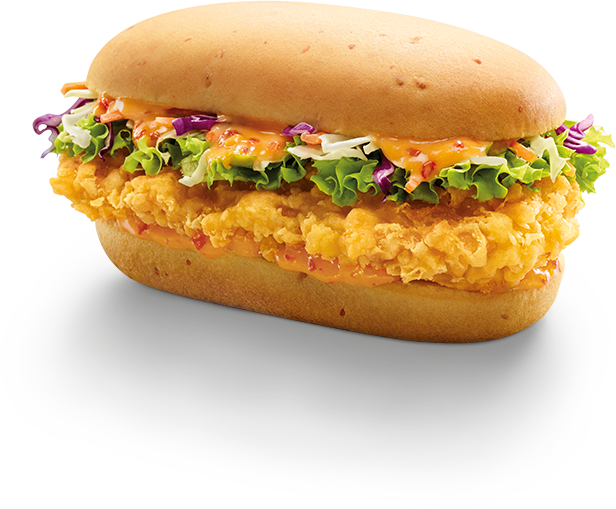 Nestled in a bun, on a bed of fresh vegetables, drizzled with sweet chilli mayo. An adventure in every bite. 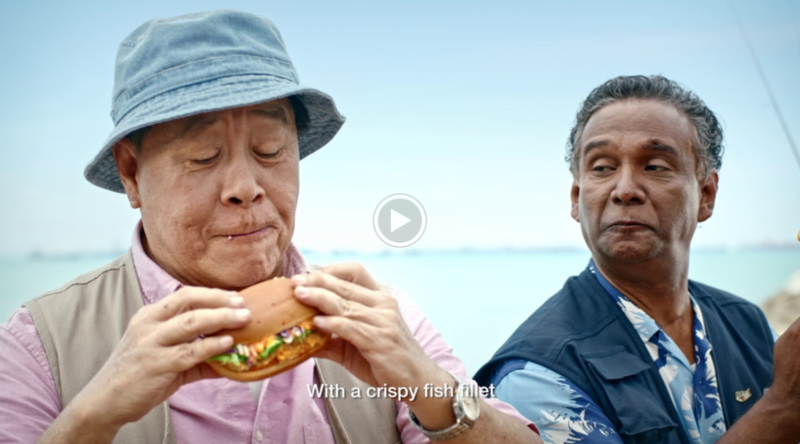 Allergen information: Sweet Chilli Fish Burger contains egg, fish, shellfish, soybean, wheat, gluten and MSG.